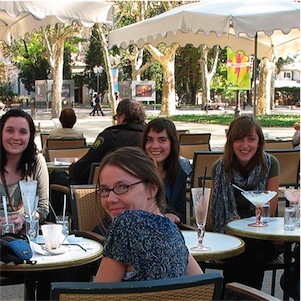 Immerse yourself in the French language and culture while teaching English in France.This volunteer programme is a great opportunity to experience French lifestyle and improve your linguistic skills at a low cost. You live with a host family and in exchange for your own room and meals, you share your language for around 15 hours per week. This programme has a focus on cultural exchange, it is designed for flexible people wishing to experience the French culture in depth. Participating in this programme implies sharing daily life with a French family, learning their language and culture and adopting it as their own for a period of time. At the same time, the participant will share his/her own language and culture with the members of the local family. Place: Placements can be offered all over France depending on the availabilities when you apply. Placement in Québec and French Overseas and Departments Territories are sometimes possible (Guadeloupe, Mayotte...). Most families live in villages or near towns. Dates: available all year round. However, placements during summer are often short term placements (1 month) as most families go on holiday. Only a few placements are available in August. Duties: You help the family, usually the kids, with their English studies for up to 15 hours per week. Sometimes the teaching is for adults only. Lessons can be more or less formal, depending upon the family needs. When a placement has been agreed by all parts, you will have to discuss with the family what form the lessons will take: the number of formal lessons, dinner conversation, sharing activities with the children, playing games in English, etc. It is also important to agree a schedule so everybody is clear about when you will be teaching and when it is your "time off". It is very important that you prepare teaching tools in advance using the many web resources, as well as bringing a dictionary and a grammar book to refer to. Living conditions: The family offers full board and private accommodation. However, some families are not at home during the day, parents work outside and children are at school all day long. In this case, language assistants are responsible for their own lunch (you can use the kitchen or take a snack in the city centre). Language assistants should be flexible with lunches and adapt themselves to the reality of the family. Facilities of the house are shared with the family, private bathroom is sometimes available. Each family is interviewed and carefully selected taking into account their genuine desire to learn a new language and share their culture with the participants. -	Previous teaching experience is not a requirement but is highly recommended. As being part of the family, you will be expected to keep your room tidy and clean and respect the host family’s rules. You will not be requested to act as a domestic help or an au pair - namely cooking / cleaning or child-minding. However, you will be expected to take a reasonable role with day to day household chores, such as helping to prepare meals, washing up, general tidying etc. Orientation information, and all in-country informational materials. 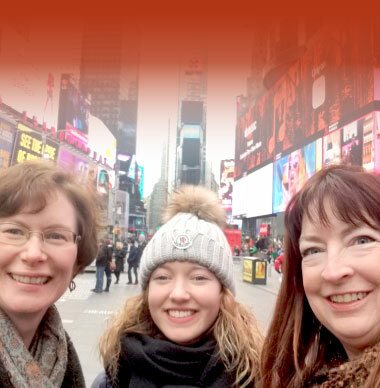 "Aliore provides a great opportunity for immersion into a home setting where you meet lovely people, live side by side and share their daily routine, and fun opportunity to see new places in a cost affordable manner." 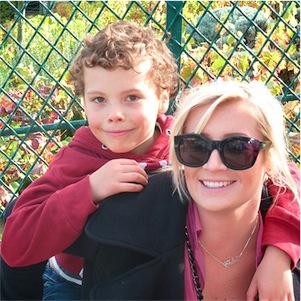 "When looking for a host family program, what drew me to Aliore was the locality of it. It's based out of France, so I knew that I would have an experience catered towards French culture. Soizick, the program coordinator, was super helpful every step of the way. She made me feel relaxed and confident and sent many helpful links and materials. My host family was beyond great - I bonded with them right away. They were so welcoming and hospitable and really tried to make me feel at home. I truly believe I have made lifelong friends, and I plan to return to France to visit them again in the future! " "I would definitely go through Aliore again! I had such an amazing experience as an English language assistant. The family I stayed with was so special and we plan to keep in touch! Through my university I was able to get internship credit and a French class credit. It all worked out so well! Who knows I may do it again!" "Aliore was very quick in responding to my requirements and was very prompt and efficiently organised. Would love to work with them again. Thanks Soizick. À Bientôt"
"I had a fantastic three week experience with my family. They were welcoming and so willing to learn with me and integrate me into their daily lives, helping me make the most of my visit. They were flexible and I was never stressed or concerned. I felt completely comfortable and new that I was learning, without even realizing sometimes." "If you have an interest in French, or specifically improving your French there is no better way than volunteering in France after you have at least a solid base." "This program was awesome. My host family was the sweetest, especially with regards to my toddler. I can't say enough good things about them." "My time in France was wonderful! My family welcomed me as one of their own and we laughed, learned, and challenged stereotypes together. This was so much better than taking a French course abroad-- it was a chance to participate in the day-to-day life of French culture and discover the nuances of this beautiful language! My only regret is not being able to stay longer." "I highly recommend anyone who's looking for a rewarding cultural experience in France to do this program with Aliore! 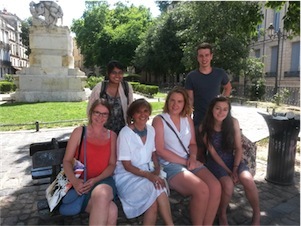 I was matched with a host family in the city of Montpellier. I had the best time ever being completely immersed in French culture and living like a local. All the while, helping with my host family's English and adjusting to their daily routines and lifestyle. My host family were extremely friendly, hospitable and kind-hearted that I adjusted with no problems at all. The program itself offers great flexibility as I had plenty of time to engage in cultural activities locally and explore nearby towns in the region. My French improved immensely too with self-study and constant exposure to the language and culture. The application process was very simple and straight-forward thanks to Soizick, the program organiser. She was very patient, helpful and quick to reply to any questions I had about the program. It really took away any worries that I initially had. The program is definitely of great value and I got so much more out of it than I expected. I have many wonderful memories with my host family and many enriching cultural experiences that I'll never forget. The most important thing to remember is to be open-minded, flexible, and you get out what you put in!" "I decided that I wanted to travel to France for the month of November 2017 and spend some time in the Languedoc region. I have spent the last seven years traveling to France for a month or more at a time exploring different areas of the country. I had never used a placement agency before, and I came close to using one in the US but then I happened upon the Aliore website and decided to give it a try. Soizick Chartier, one of the founding members of the organization, was my contact person. She was extremely attentive to my needs and my questions. It made me feel extremely comfortable. I sent her my bio with picture and received information about a possible placement in Nimes with a French teacher and her 16 year old daughter. I said YES! That first week of my time in Nimes, Soizick hosted a get together in Montpellier with the other students who were also on placement in that area. It was a nice way to meet fellow explorers and also to meet Soizick. My family lives in Nimes. Nimes is a fantastic jumping off point for a lot of other great places to visit within an easy day’s train ride. I visited Toulouse for a weekend, Avignon 4 times, Montpellier many times (where I attended a French language school based on Soizick’s recommendation), Marseilles, and Carcassonne to name a few. My host family honestly could not have been more perfect. I fell in love with them! Because I am a “senior” my host gave me all the information to get a senior discount travel card for 80 euros that was good for a month. I must have logged in over twenty five train uses and only had to pay extra once. The daughter in my family wanted to write a short film in English. She is interested in being a director and writer, so that was my English teaching assignment during my stay. We did not write a short film, we wrote a full length feature. Since we did not have time to finish, I am now skyping with her on a weekly basis to finish her wonderful script. I speak Intermediate level French and was really challenged to keep up with my speaking and listening. Mothers and daughter have their own “short-hand” in any language and they kept me on my toes. I learned a tremendous amount and could NOT have enjoyed myself more. We went to the movies together, cafes, they took me to an amazing light festival in Montpellier and many other activities. They were both busy during the day, so I had all day to myself to explore and experience. They are currently trying to make plans to come visit me in Los Angeles this summer. I am 66 years old…so if you are a senior (or not!) I highly highly encourage you to run, not walk to ALIORE if you want to have the experience of a lifetime. It was MY BEST VACATION EVER! THANK YOU SOIZICK AND ALIORE! I WILL DO THIS AGAIN!" "I was very lucky to be placed in the beautiful city of Montpellier in South France where I stayed for 8 weeks right in the city centre with a very friendly and highly-cultured family. The organiser of Aliore offered a lot of help throughout the whole application process to make sure I am 100% happy with my placement and I couldn't be happier with my stay there. Working with kids and teaching them English was also a great opportunity to engage in their culture and the French way of thinking and doing things. What's more, the family often took me to a variety of social, cultural and sports events including friends gathering, music concerts, hiking and day tours so that I could be fully immersed in every possible way. The Mediterranean city Montpellier had tons of entertainment to offer too ranging from museums and bookstores to film and wine festivals. Even the small towns and cities surrounding Montpellier such as Nimes, Avignon and Carcassonne are perfect weekend destinations for you to explore the rich French history and culture, and of course, the irresistibly delicious cuisine of Provence Region. Overall I highly recommend you to go with Aliore for your next exchange program, I really had the best time and in the meanwhile my French improved more than I ever expected. Thank you so much Aliore, I can't wait for my next adventure in France!" "This program is excellent! The advance materials were clear and helpful. It is very useful to have the structure that Aliore provided for the program, so that everyone understands expectations, etc. I was very happy to see the followup questionnaire after one week with the host family, and the final program evaluation that I am now responding to. This program offers an excellent opportunity to learn french--and, more important, I think, to get to know more about french people and french culture. My particular host family was absolutely wonderful! We had a lot of fun. They were extremely generous with their time and attention. I will always feel a great deal of gratitude and affection for them. I hope that the relationship continues! Accommodations were great, too. And the town of Annecy along with the region around the town. (lake and mountains) were spectacular." "I valued very much Soizick's manner and prompt communication throughout the time of organisation. I was extremely fortunate to have a truly lovely and open-minded family. I believe this was the foundation of an excellent experience." "I could not have been placed with nicer people. The children and I had a good time together and I feel that they improved their English too. The parents are special people and I feel that I have made new friends. The greatest barriers for me was my fear of trying to speak the language and getting myself out and about on my own using the language. I feel that I over came both of these barriers. I am already thinking about my next trip." 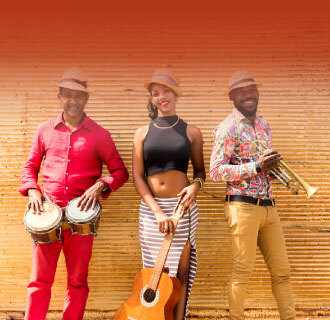 "Very professional programme, where the selection process ensures that only families who are truely interested in a cultural exchange will participate!" "The experience is one I'll never forget. Soizick was helpful in finding me a host family close to the city of Lyon. I learned a lot about French food and way of life, gained confidence in practicing French, and enjoyed spending time with my host family." "Having had other experiences staying with a host family I can easily say this programme is the most rewarding. The fact you have a purpose to the family makes your time a lot easier, as my family always had reason to interact with me and ask questions. My French also improved drastically as I was able to ask them for translations of words when needed, and didn't have to rely on dictionaries or translate apps constantly during conversation. Instead we could maintain it using a mix of English and French. I would highly recommend this programme and I definitely plan to see my host family again in the future!" "I enjoyed the program I was enrolled to do and had an amazing time with the family which help me improve my French. I would definitely recommend Aliore Program and hope that in the near future I'm able to attend another program." "I liked spending time with my French family. They welcomed me into their home and into their family vacations, activities, and friends. It was really special to become part of their family and learn about their culture for a few months. 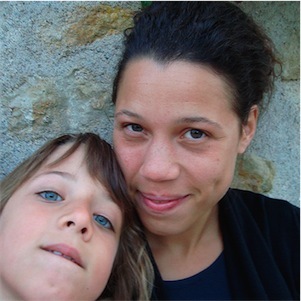 My experience teaching English to a French family through Aliore was really rich and enjoyable. My French family was incredibly kind and welcoming, and I learned about their culture in a way that wouldn't have been possible from visiting France on my own. It was a challenge to tutor English, but it was so rewarding and fun. I would definitely recommend this program to anyone wanting to have a unique experience, improve their French, and learn about French culture." "My experience with Aliore was great! The family placement met my expectations, were relatable and kind. Communication and information from Aliore was very efficient. It was definitely an economic way of travelling while getting the best of a country. The flexibility offered by the program ensures that you do your role and get a cultural exchange at same time. Based on my experience of 4 weeks, I sure would recommend Aliore." "This was hands down the best experience of my life. I was placed with a family near Paris, not in the south, so I was able to visit Paris as much as I wanted. My family is incredible. They made me feel so welcome in their home and included me in their family like one of their own. I was already fluent in French before coming, but this solidified my knowledge of day-to-day vocabulary you can really only learn by living in France. Some days we only spoke English. Others we only spoke French. Each day was different but I can see improvements in their English and my French! I cooked American food for them and they made French dishes. All in all, the experience is what you make of it. You can go out every day or spend your whole day in your room when you're not explicitly doing lessons, but in the end you will never have as good of an experience as you can if you immerse yourself in the culture and spend as much time with your family as possible, like I did. I gained so much out of this program, I would participate again in a heartbeat." "It was really a wonderful experience becoming closer with my two host families–I felt like the kids were almost like my cousins after a while and was glad to work with them. Aliore was a perfect choice for me. Not only did I come to love and feel loved by each of my host families (I had two), I was able to meet and become friends with the Aliore staff as well. Perfect for anyone taking a gap year, summer abroad, or just looking for an adventure!" "I really think Aliore is an amazing program and I think that, even with so many other ones available, I couldnt've found another one that did a better job finding my family match. I also really appreciated the "follow-up" they did. I felt like they were really there for me if I had any problems or just wanted someone to go out with and talk a while. They didnt just match get the money and then disappear like many other associations. Also in terms of the value for my money, I think its one of the best programs out there! I really recommend Aliore because I learned so much and had one of the best experiences in my life!" "The Aliore program was definitely one of a kind. The family I was placed with was incredible and my time with them has been an experience that has changed my life. All while teaching English and spending time with my host family, I was able to also learn French and travel France. I am very thankful to Aliore and this program!" "I had the very, very best time staying with my host in Tarbes for 4 weeks in October/November. I found the most lovely, kind and generous host in Suzanne and left feeling truly fortunate to have had the time and the most authentic French experience-thankyou both Suzanne and Soizick! I found myself included in activities with family and friends and have come to adore the lifestyle and food! All-in-all it was a fabulous experience and I would recommend it to anyone wanting a cultural/language experience. From my communication with Aliore prior to my departure I knew what to expect, it was in fact was beyond my expectations." "The organization does what is advertises. I had immediate and clear responses to all my questions from Aliore. They found a family with the requirements I had indicated as preferences. I felt comfortable that if I needed help while in France that there would be an advocate to help me. I learned a lot about the language, customs, culture and history having lived 2 months within an authentic French family's lifestyle. I now have a connection to France through people." "It was a pleasure teaching English in France with Aliore. Soizick was very helpful and the families with whom I stayed were always incredibly kind. I learned a lot from the cultural exchange and the opportunities I had to visit each region, but I also learned much about both the English and French languages through my time teaching. It was a worthwhile experience and an amazing summer." "Aliore was so helpful in finding me a family where I could feel completely safe and comfortable even while it was my first time out of the country and especially since I traveled alone! I felt like a part of the family and enjoyed spending time with them while I was also able to have some time to myself once in a while to relax and especially to explore the surrounding area which was beautiful and had so much to do and see. I have no regrets and I'd do it again in a heartbeat!" "A fantastic experience. I was unsure of how it would go as I had no previous experience teaching English but the family was so welcoming and the teaching turned out to be a lot more fun than I'd expected! My French definitely improved and I would absolutely recommend the programme to anyone interested." "This is probably one of the cheapest ways to travel to Europe! And a very rewarding experience as well! Soizick communicates very well through email or phone. She made sure I was happy and safe in France. My favorite thing about the program was that I felt like a real family member. 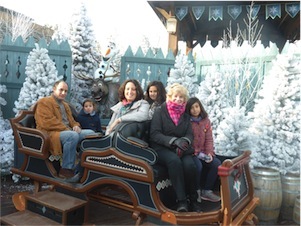 The family was so generous and helpful; they made my time in France fun and enjoyable. I also liked how flexible my time was in France. If I wanted to go into the city for the day, I could. There was no strict schedule I had to keep. " "Everything about the family was perfect, they were extremely kind and lived in a beautiful location. Being around French natives everyday meant that I had to pick up everyday language quickly; I learned many things that I couldn't have learned at school. I can't recommend my experience as a language exchange assistant enough. There is nothing that I can complain about; I had an incredible summer for an extremely decent price. The family did everything they could to make me feel at home, and my French verbal skills improved drastically." "I had the best month in France. My family was so great and I know I will keep in touch with them. The family improved their English immensely and I learned so much about French culture. It was such a genuine experience." 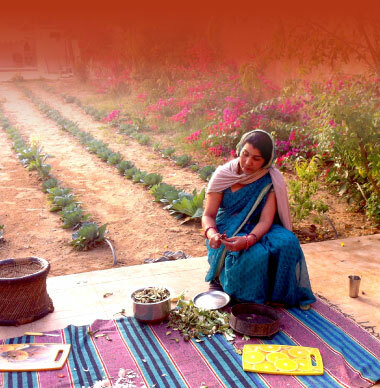 "I was completely immersed in the activities and daily life of these people. They treated me as one of their own, and I thought we communicated quite well. Aliore was a great program which immersed me in a French family, and brought our two cultures together. I hope to return to France soon to teach English"
"Aliore was a wonderful experience! I got to explore Montpellier like a local for two whole months and meet some incredible people all while staying with an awesome family. My french improved so much during my stay and I got to learn a lot about the art of teaching, familial relationships and cultural exchange. I liked most the sense of community, feeling like a part of the family and then feeling a part of the Aliore team with the meetings and fun outings."